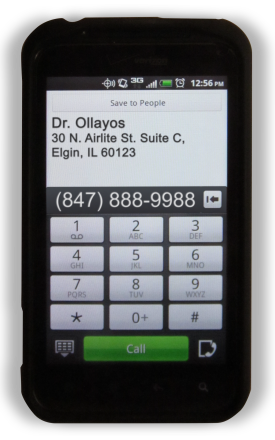 Contact Dr. Clare Ollayos D.C.
We encourage you to contact us via telephone to make an appointment. For directions to the office, please click here. If you have any questions or comments, please feel free to get in touch. We're always happy to hear from you!